In response educators and parents everywhere are posting their own “Whatifs” using the hashtag, #whatif,” and attaching @arneduncan. Judging by the #whatif stream, I suspect many educators are expressing quite a bit of frustration regarding Duncan’s education policies. But I wanted to just take a moment and look at what’s problematic about Duncan’s tweet. First of all, it clearly indicates that he is still in “silver-bullet” search mode. He thinks that out there somewhere are some magical measures that will magically transform schools from being “unsuccessful” to “successful.” Time and again, his entire career as a secretary of education has been one long search for the magic of school reform. What he has never uunderstood was that reform on a national scale can’t be imposed from his office. He should have taken those lessons from No Child Left Behind; instead, he’s imposed a much more severe “measure and punish” tactics that have elevated testing above everything else that matters in public education. Schools are struggling for a variety of reasons. Some of those reasons aren’t due to education policy; they’re due to economic policies that are leaving many in this country behind in income. When Duncan asks the question about identifying what made 5 best schools successful, he automatically assumes that what those schools did to make them successful will automatically apply to all schools. That is at the heart of his “silver-bullet” search, and that’s why there has been nothing out of this Department of Education that will survive once they vacate the premises. Duncan has only searched for quick-fixes without really helping school districts get down to the hard work of improving education. Secondly, I suspect, Duncan identifies “successful” as those schools with the highest test scores. For the length of Duncan’s tenure, he and his department have repeatedly made it known that high test scores and value-added measures equal success, so why would we believe he would suggest anything different? The problem is that Duncan’s definition of success requires reducing teaching and learning to statistics, when everything we know about learning as educators tells us that tests only measure a miniscule portion of what students learn. Duncan’s Twitter question is actually a statement of his faith. We all know what his “identify” entails. It entails subjecting kids at all levels to tests and then using those tests to judge the quality of everything in a school. Once again, Duncan failed to see the lessons of No Child Left Behind. “What if I have been wrong about all this testing? What if my measure and punish education culture I’ve created has actually harmed schools?" I won’t wait to see this Tweet; however, because it will not happen. Duncan believes in everything he’s done. Why else would someone tour the country and spend so much time promoting what they’ve done? He has repeatedly made the mistake of thinking himself a salesman instead of an education leader. Today, The 21st Century Principal shares two milestones: its 1 millionth page view, and its 5 year anniversary. 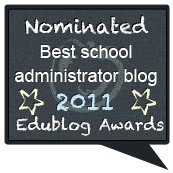 About five years ago, I started this blog with the intention of sharing my own thoughts, ideas, reading, and opinions regarding the public education issues of the day. I have purposefully tried to share my own ideas about technology, teaching, and education policy, and I think I was successful. Over the years, I also think its clear I have not hidden my views because they might be deemed off limits politically. Many times, I have received messages from people who hold different views than myself who want to remind that I "must be impartial" or somehow fair. Unfortunately, that is not my intention for this blog. I'll leave being fair and balanced to the cable news channels MSNBC and Fox News. Personally, I think educators do too much deferring on political topics for fear that they might upset someone else, or maybe even hinder their chances at getting a job in the future. We must question these ideas and policies, and my job as an educator is not to blindly accept everything that comes down from the US Department of Education, nor the North Carolina Department of Public Instruction. If an idea or policy can't stand up to scrutiny or criticism, it should die a quiet death, no matter who supports it. I have also tried to share my encounters with technology as well. Quick reviews of new software or new tablet apps have been common, as well as the occasional review of new hardware and technological devices. Over the years, I have tried to make sure that I only reviewed technology that I myself have tried, and as far as I know, I mostly did that. I know of less than a handful of situations where I reviewed items that I myself did not specifically try. This was in spite of the countless offers, which I appreciate, from companies wanting me to review their product. It's just difficult for me to honestly write about something I have not tried. In addition to technology review and tips, I have also tried to share my own reviews of books I have read. I am an avid reader. Though I have been unable to share every item I've read, I have shared reviews of those I felt might offer educator readers something of value. I have also tried to share my own ideas about leadership and sometimes just plain being human in the clothing of an educator. 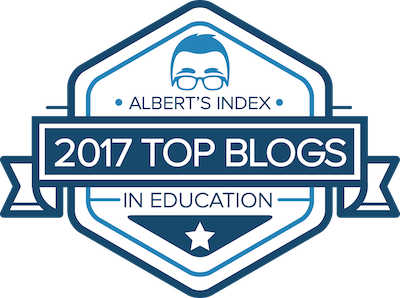 Though lately, there haven't been as many posts on the The 21st Century Principal Blog, I assure you there will be this year. My own education in a doctoral program has consumed much of the time I used to spend blogging. Once again, thanks to everyone who has read this blog. I look forward to sharing more during the next school year. Happy New Year to everyone! Public schools have suffered under Secretary Arne Duncan's Race to the Top and No Child Left Behind law waivers. Testing, not learning has become the focus. Schools have cut arts programs and non-tested subjects. Enormous amounts of time are spent during the school year getting students ready for the tests. And, since the Obama administration took office, there are many states like North Carolina that administer a record number of state tests, and the use those results as a part of teacher evaluations. It has been this President's education policy that has done more to elevate test scores to even higher levels than under No Child Left Behind. Now, Arne Duncan is once again trying to elevate test scores even higher: he wants to use test scores to evaluate the effectiveness of teacher programs too. Under Arne Duncan's latest effort to hold somebody else accountable for education except himself and politicians, Duncan now wants to create a new, massive bureaucratic procedure to judge the "effectiveness" of teacher preparations programs around the country. This behemoth proposal would bizarrely twist test scores once more in the name of accountability. As I read through this proposed procedure, I simply grow more and more angry at a President and Secretary of Education who simply have no clue as to what their "test-them-if-they-breathe" education agenda has done to schools, students, teachers, classrooms, and the future of the education profession. If you read the fine print of this massive document, you can quickly read between the lines regarding what Arne Duncan is actually proposing. Using test scores, most likely value-added measures, to determine the effectiveness of teacher preparation programs that receive federal funding. The development of a massive pile of red tape and bureaucratic procedures to make sure teacher preparation programs comply to the dictates of the US Department of Education. An enormous overreach of federal power and powergrab by the US Department of Education. There was a time when I would have defended the existence of the US Department of Education. Now, I am slowly beginning to feel that perhaps the best thing for public schools is for this new Congress to simply dismantle it. Has there been a single good policy or idea that has come down through this department during the Obama Administration? I think it's perhaps time to write some letters, send emails, and make some phone calls on Duncan's bizarre plan to use test scores in yet another high stakes manner. All US educators and pre-service educators need to take some time and let the President, Secretary Duncan, Congress, and the US Department of Education know their thoughts on this one. Otherwise, like the Race to the Top, Duncan will claim he has heard only praise for this latest effort to bend the education world to tests. If you would like to submit your own comment or opinion, you can do so at the address below. The deadline for submitting comments is February 2, 2015. Perhaps enough educators will submit comments that it will take the US Department of Education five years to read them. Read and Comment on the Newly Proposed Arne Duncan Teacher Preparation Rule. (BE SURE TO DO SO BY FEBRUARY 2, 2015). When a school administration company goes bankrupt, what happens to the student records? It turns out that the answer is unclear, as many school districts that used ConnectEDU Inc. discovered this year. As many as 20 million student records were sold and are now unaccounted for across the country. Joel R. Reidenberg, a law professor at Fordham and Princeton universities, told Education Week, “This is a significant red flag for the treatment of student information by education technology companies.” Moving forward, what can schools do? The past twelve months have been difficult for cloud security. Gazing back at Heartbleed and the Apple iCloud breach, experts are already saying that more cloud data failures will be “inevitable” in 2015. For schools, cloud security breaches pose a particularly dangerous situation. In the United States, student personal information is taken seriously. The Family Educational Rights and Privacy Act of 1974 (FERPA) requires that schools must have a student or legal guardian’s consent before disclosing their data, including enrollment status, billing information, and education records. This federal law has serious consequences if student data is released without the student’s consent, including the potential for a university to lose federal funding. Aside from FERPA, a major security breach could violate the Fair Credit Reporting Act, PARCC, the USA PATRIOT Act, the Health Information Portability and Accountability Act, among dozens of other laws. With all this in mind, schools are in a bind. Cloud-based school management software tends to be cheaper than locally-stored systems. And with schools struggling to optimize their budgets in the wake of aggressive cuts to education funding, many feel stuck. They don’t want to jeopardize their students’ secure information, but they can’t afford large, one-time software purchases (which average $4,000). Luckily, there are some best practices to follow when opting for a cloud system. Make sure your server is running the latest software patches and that your firmware is updated. Ask your IT administrator to set a static DNS server IP address and to disable DHCP. Make sure that all administrators have a unique login and password—that’s different from the default provided by the software. Use a secure encrypted connection like SSL or TLS. Never forget to password protect all of your devices—and make sure your passwords are strong and regularly changed. But that is all basic cloud security protocol. When it comes to school privacy and all the security and financial risks that come with doing business over the cloud, school administrators should know the right questions to ask when considering school administration software. Can you tell me about the baseline technology? Do you have any enterprise customers? How is our privacy safeguarded? What kind of encryption do you use? Can you install a local instance on a school server? What about a district (as it applies)? How can our school use your software to communicate with parents and guardians? Who is authorized to view or change student data? Naturally, your school or district might have a lower or higher risk tolerance than the next, or might be able to spend a little more on security, but every school administration software option should be compliant with local and federal laws. After so many schools suffered through major data breaches this past year, school administrators are experiencing a painful wakeup call. As for education technology companies going bankrupt like ConnectEDU Inc., that’s not out of the question. Joel R. Reidenberg explains, “Many ed-tech companies today are small startups, collecting lots of data. Many of them are not going to succeed. What's the protection when these companies go bankrupt?” Laws are already moving into place to protect student data, like California’s Student Online Personal Information Protection Act, but legislators have a long way to go to create meaningful policy. School administrators need to avoid the dark clouds ahead. They should contact their current school administration software vendor and ask the abovementioned questions to make sure that, on the school’s side, their students’ information is safe. If their student’s data isn’t encrypted, if there isn’t a good way for the school to communicate with parents and guardians, and if the software doesn’t have a solid background in providing excellent service and security to other customers, it may be time to choose another option. 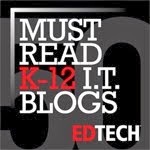 This post was contributed by Rachel Burger who writes for Capterra SchoolAdministration Blog. Being able to search online databases through the software and its auto-complete reference feature. Customizable research file storage that I can make work for me. Auto-Bibliography and in-text citation feature that works with my word processing software. Ability to share and connect with others conducting similar research. I have found its ability to work with Microsoft Word with in-text citations and bibliography generation to be mostly flawless. The only drawback, I also like to use Pages on my Mac, but I did not know that Endnote offered a plug-in for that word-processing software. It turns out, there is a plug in, and you can get it here. For more information about Endnote, check out their web site here. It doesn’t matter whether it is MSNBC, CNN, or Fox News; each one of these cable news channels have proven through their education reporting during the past year that they aren’t in the least interested in getting all sides of the education story. The evidence of this is a Media Matters report that came out in November that found that “Only 9 Percent of Guests Discussing Education on Evening Cable News Were Educators.” (Also see Diane Ravitch’s summary of this report here.) In other words, all our cable news companies failed, for the most part, to involve those of us in the schools and classrooms in their discussions and coverage of educational issues. The question then becomes: Why do cable news companies refuse, either deliberately or inadevertently, to include educators in their discussions about educational issues? By practically ignoring educators in their education discussion, MSNBC, CNN, and Fox are guilty of engaging in a complete dismissal of an entire group of professionals who certainly have a great deal to add to these education policy discussions. They are also guilty of not getting all sides of the issues, which I thought was what impartial news reporting was about. We test our kids more than we ever have before. As a result of these tests, we are transforming our schools into “test-prep” machines. We are standardizing learning for all students, when research and our experience screams to us that we should be personalizing, nor standardizing. We now judge teacher and principal effectiveness by test scores, as if those scores can infallibly tell anything about how each are doing their jobs. There has to be some reason why educators are being excluded from the education discussions on cable news channels. In the meantime, it might be more important for those of us who are educators to simply dismiss what MSNBC, CNN or Fox have to say on the subject, because they certainly aren’t getting the full story. We also need to work harder to get our stories out there as well, because we no longer have news networks interested in making sure all sides of these educational issues are reported. I just have to remind myself that cable news is more about entertainment anyway rather than trying to actually inform anyone of anything, so why would I even think they might be interested in getting all sides to a story anyway. If your Facebook timeline is like mine, rarely does a day go when you don’t see a post that asks you to share it because your act of sharing will somehow benefit the subject of the post. For example, today I found a post from a well-meaning friend asking me to repost a photo with a description that stated, “If this boy gets 100 shares he gets his heart transplant for free!” Most of us would immediately repost without question, after all, it’s the least we could do in situations like this. If this boy gets 100 shares he gets his heart transplant for free! But here’s the real problems with these posts: they are bogus just about every time. Or so it seems. Lately, when I’ve seen these posts, I’ve gotten into the habit of googling the bylines, and just about every single time an article from Snopes.com comes up telling me the post is bogus. Snopes usually provides a bit of additional background as well, such as who is really in the photos, when the post began circulating, and other variations of the post. Web sites like Snopes are excellent tools for helping sort out fact and fiction from the web. Part of us wants to believe that we can help someone so easily with the click of a button. We may even justify our reposting of things like this because we say, “What can it possibly hurt.” But in some ways we are perpetuating a lie and just maybe giving people a false sense of having done something good for another human being when we’ve really done nothing. But sometimes the real issue we have with the web is our own personal approach to it. We turn to the web sometimes to only verify the world as we wish it could be or want to it be. For example, we want to believe that there are people like this little child who need a heart transplant, and there are people like us who can help. Better yet, just maybe, these opportunities to repost these requests for help exist to give us an opportunity feel better about all the time we waste thumbing through these social media sites. Perhaps the truth is simply this: you can’t really believe much of anything that comes through your social media feed, and if you want to really make a difference in someone else’s life, turn off Facebook and help someone face-to-face this holiday season. In the real world, need can be a bit more obvious and you don’t need Snopes to fact check. If you take a hard look at the real world around, I bet there’s someone whose needs are apparent, and we might have to do a bit more than simply repost. NC to Adopt Curriculum with Ties to ALEC & Koch Brothers? Cause for Alarm and Concern? ALEC has a solid presence in the North Carolina Legislature for the past several years, so it isn’t surprising that it passed laws requiring a history curriculum that might be more in line with its conservative views. The fear I have is that with the implementation of this new curriculum, ALEC continues to solidify its hold on North Carolina and will begin to utilize public education as the means to indoctrinate students with its worldview. Rarely do these organizations seek balanced approaches to learning; most often they seek to stifle those who hold dissenting views. Let's just hope that's not the case in the Old North State. When most of us were high school students, we often encountered the cliques, the pecking orders, and groups we had to navigate around and through during our high school experiences. Many times these experiences left us with unforgettable memories and even scars as we were struggling to fit in. It turns out that we as educators might be able to do something about “teen cliquishness” after all. Sociology researchers Daniel McFarland, James Moody, David Diehl, Jeffrey Smith, and Reuben Thomas recently published their findings regarding “Network Ecology and Adolescent Social Structure” in the American Sociological Review. Without getting too deep in the details of this study, or getting tangled in their terminology, it turns out that there might be things about our schools that contribute to the development of these cliques. (See Edmund Andrews excellent summary of this study’s findings “Stanford Research Explores Why Cliques Thrive in Some High Schools More Than Others." According to McFarland et al., “Smaller schools inherently offer smaller choice of potential friends, so the ‘cost’ of excluding people from a social group is higher.” In addition, the structured classroom offers more guidance on student interactions with “prescribed routes” and an “encouragement to interact on the basis of schoolwork rather than on the basis of their external social lives." Large schools tend to "accentuate teens finding friends more similar to themselves." Larger schools offer a broader range of potential friends, as well as greater exposure to people who are different, but the "freedom and uncertainty spurs students to cluster by race, gender, age, and socioeconomic status." A school’s openness to choice spurs cliques and social-status hierarchies. "Schools with a strong focus on academics, where teachers have a hand in setting the pace and controlling classroom interactions, teenagers are less likely to form friendships based on social attitudes imported from outside the school. Friendships are more likely to develop out of shared school activities and similar intellectual interests." McFarland does caution against the idea that students are better off in smaller schools with less choice. There is still more to learn on this issue. Still, as we ponder our school’s climate, we might want to think about the ways our schools are helping facilitate the division and cliquishness often found in high schools. For the first time, we may not be able to do away with cliques, but there might be some ways to foster a more inclusive culture of acceptance in your school.